Show off your style with these fun retro sunglasses! For all custom colors, styles and designs please request a quote. We do have more than 20 different colors, styles and can manufacture any an usual design or style. Plastic sunglasses with a fashionable frame that suits a variety of people, making these a great giveaway! • Brightly colored temple bars really pop against the black lens frames, enhancing your logo or message. • UVA 400 protective lenses provide 100% UVA and UVB protection. Production Time: 5-7 working days (does not include payment, art prep, or shipping time). 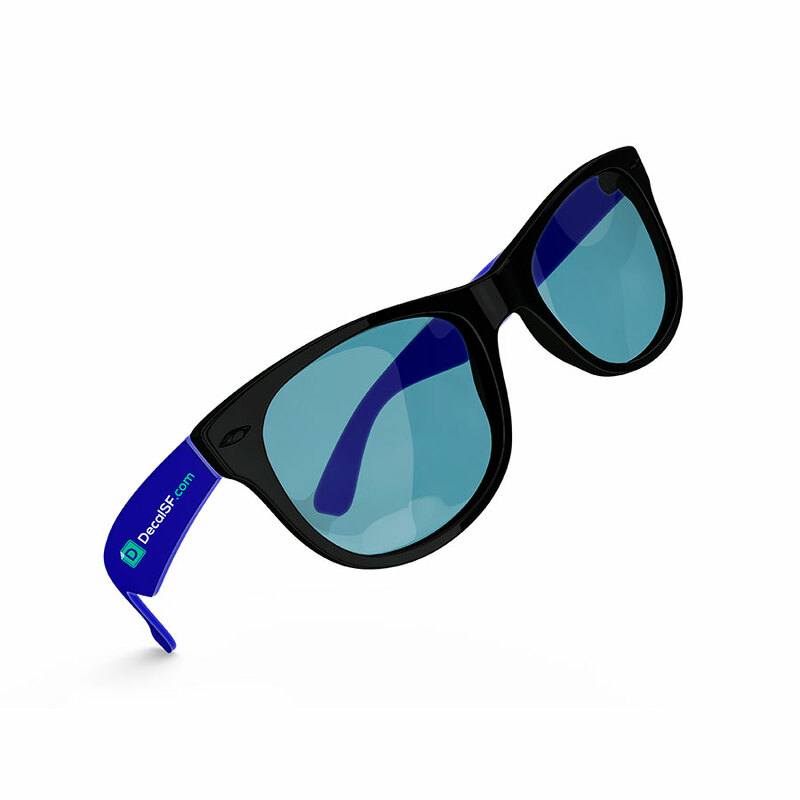 These vibrant sunglasses will block the sun but grab their attention! 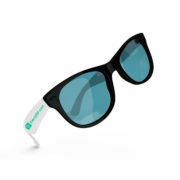 • Features a stylish two tone design, with black frames and colored side panels. • UV 400 protected, tinted lenses, so blocking the sun is no problem!